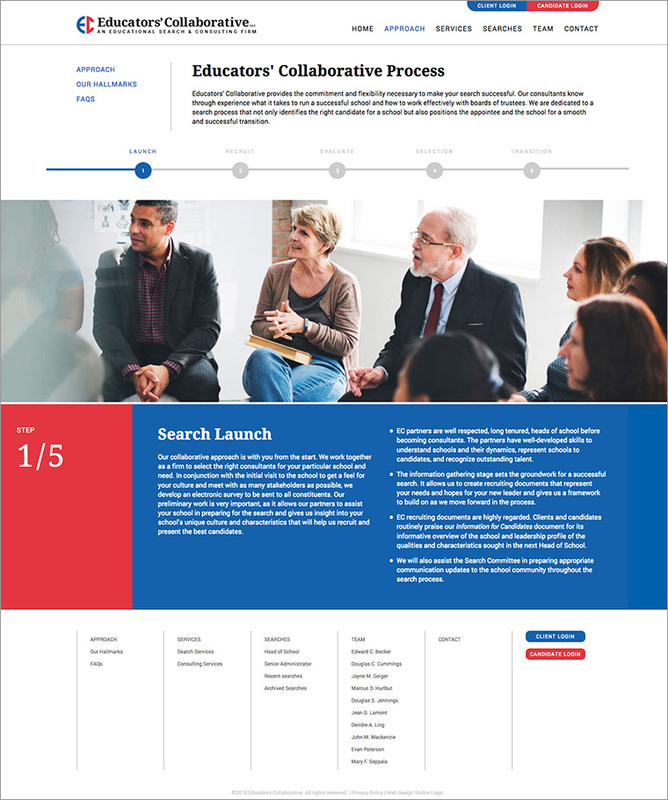 Visible Logic worked with Educators’ Collaborative to redesign their website. 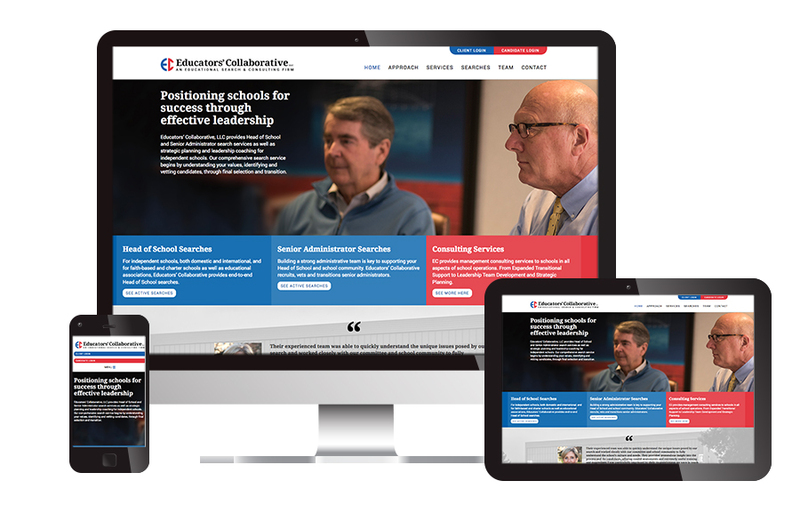 The new website has an updated and more professional visual style and additional functions. 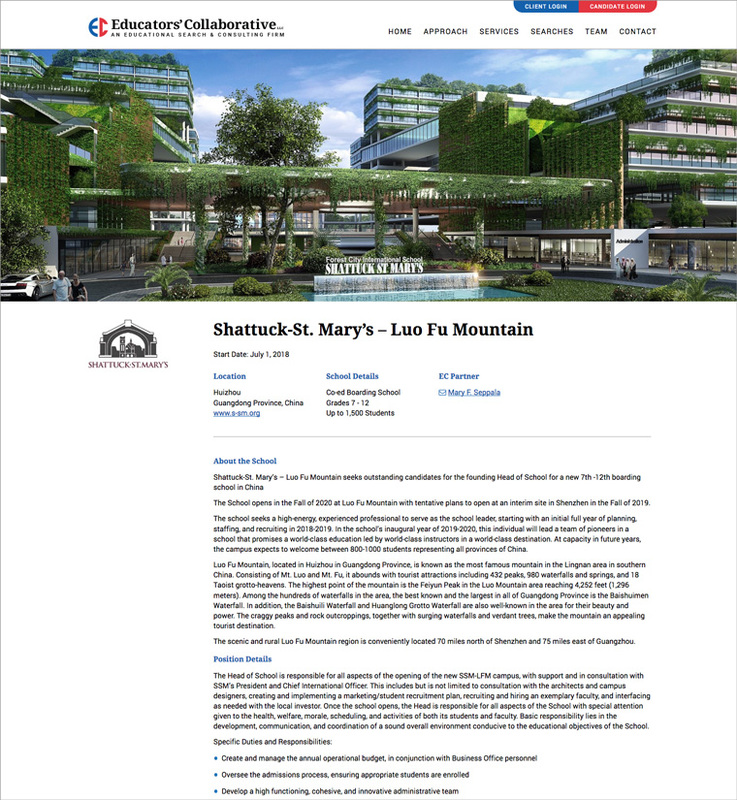 The new features include: a step-by-step approach page that better explains the process of working with them; a client portal with user-restricted file sharing; and a candidate portal for applicants to share files with them. 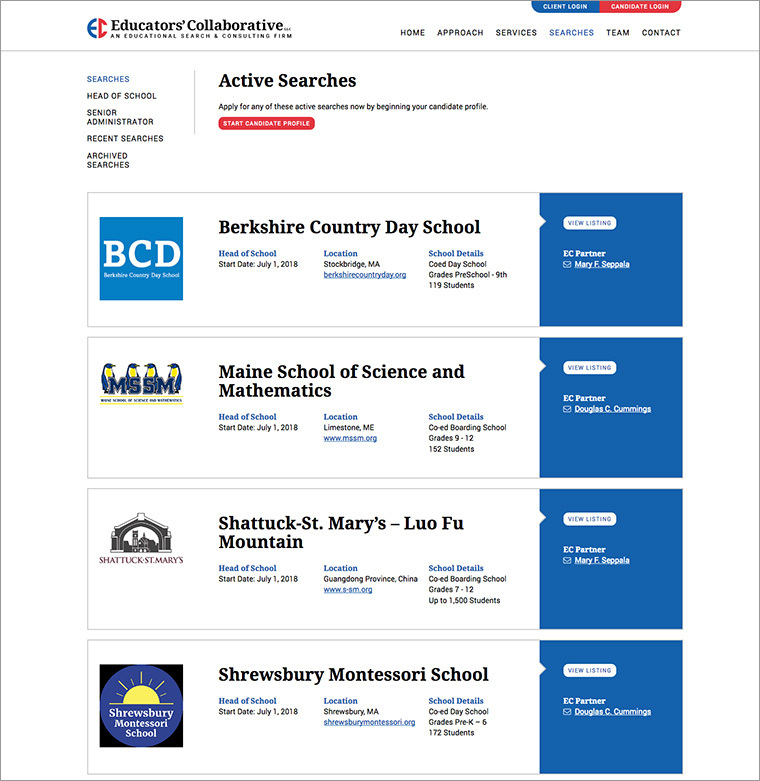 The site is responsive and easy to update with their new job search listings using WordPress.